I have a fondness for sweets. I like anything sweet from candy to cake to pie to ice cream. The only thing sweet I don’t enjoy are drinks because they don’t quench my thirst. Now it is mooncake season. 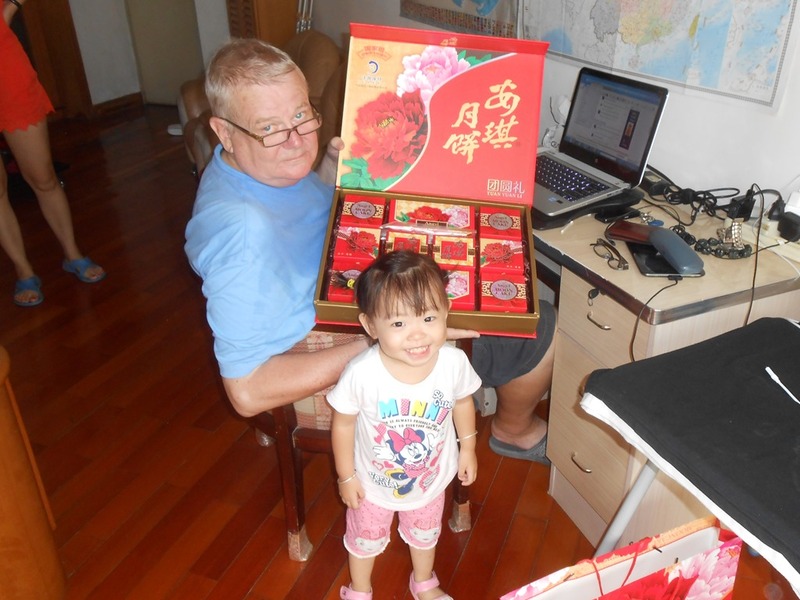 It seems that most people, both Chinese and foreigners, don’t enjoy mooncakes, but I do. I’ve been dropping hints that if anyone gets unwanted mooncakes they would be welcomed by me. By this morning my begging was largely ignored. I’d only gotten three mooncakes and a small piece of another given to me in a café. I’ve read that mooncakes are not selling well this year because corrupt government officials have not been buying them to display their wealth. But I don’t know any government officials, so that isn’t the problem in my case. 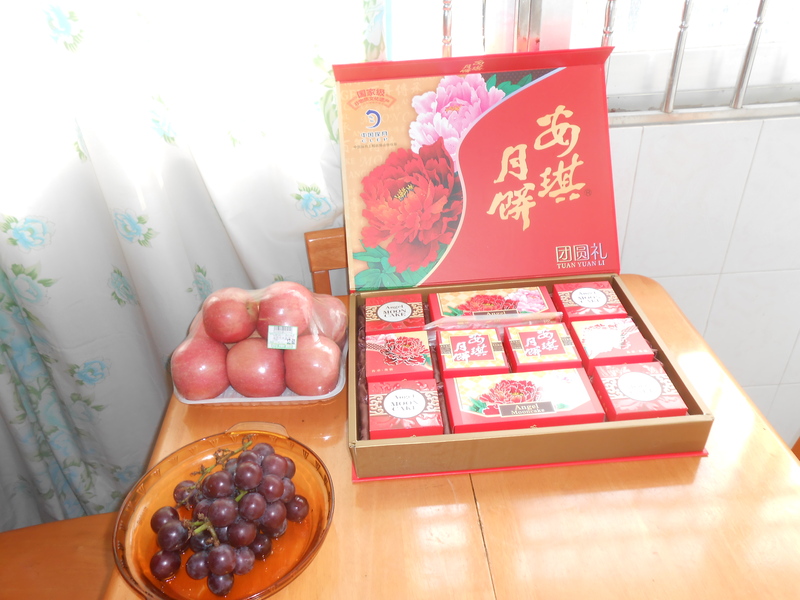 Then this afternoon, a Chinese friend gifted me the mooncake mother load, a large box of mixed kinds of mooncakes. I am very happy. In fact I’ll be hard pressed to eat them all before the 19th when I return to America. I’ve already eaten three of them. One had a strawberry filling, another gape, and the third was peach. When I get a gift, I like to see how much it cost. It’s a way of finding out what the giver thought of me. There is a Vanguard grocery store a few blocks from my house. Am looking forward to going to see how much the same or a comparable box of mooncakes cost.